Leon Haslam and Jonathan Rea started 2013 as they mean to go on, finishing the first qualifying practice in the top ten. The 29 year old finished sixth in todays opening qualifying session, just 0.6 behind Fabrizio in first, securing a time of 1.31.687. Leon said “It felt really good today and we were just concentrating hard on our race set-up. We got a tyre that we did race distance on and the lap times were as good as anybody’s so I’m happy with that. A couple of tyres are definitely not the option – they’re just blistering and I think a couple of people are suffering with that. I think I was only one of a few riders that didn’t use the soft tyre this afternoon so I was quite happy with the lap time, which felt quite easy and comfortable, and I’m happy with the progression we’re making. We’ll spend tomorrow working on tyre life and fine-tuning the electronics, which seem to change day-by-day with the weather and the wind. It’s getting stronger each day so I hope it doesn’t change direction tomorrow – otherwise we’ll have to start all over again! 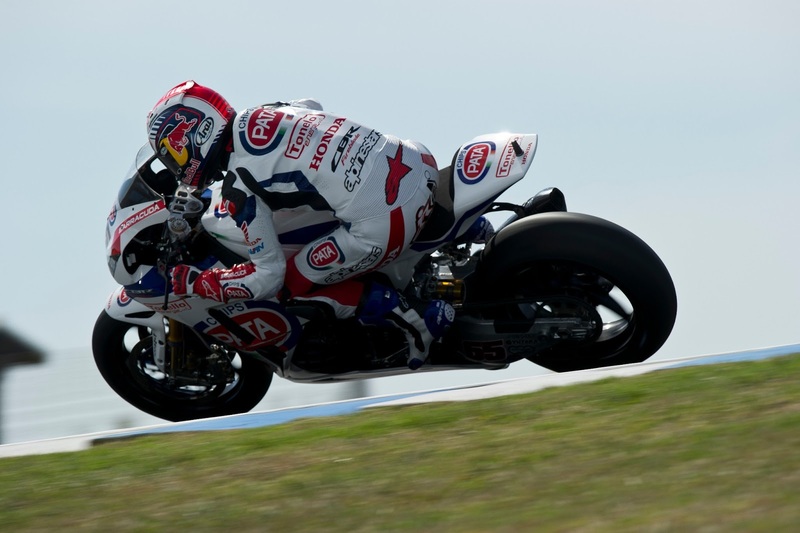 Teammate and fellow Brit Jonathan Rea also had a positive afternoon at the legendary Australian circuit. After finishing the official World Superbike test in sixth this week, Rea is slowly building up his pace. However tyres seem to be hampering the 26 year old, as he made slow progress in todays qualifying session. By the afternoon’s session he had found a steady pace, and ‘felt a lot better on the bike’ but still has work to do ahead of the race on Sunday. Rea’s time wasn’t far off top man Fabrizio however; putting in a lap of 1.31.884, just 0.5 off. Previous Previous post: WSB: Camier "Not as comfortable as in testing"
Next Next post: 2013 Silverstone WSBK to be cancelled?